Lower your carbon footprint one step at a time. You can start with Tiny Footprint coffee. Photo by Joan Vincent Canto | IST. WHAT IT IS: Sustainable coffee with a negative carbon footprint. WHY IT’S DIFFERENT: It’s organic, carbon negative and delicious—truly rich, aromatic and special. 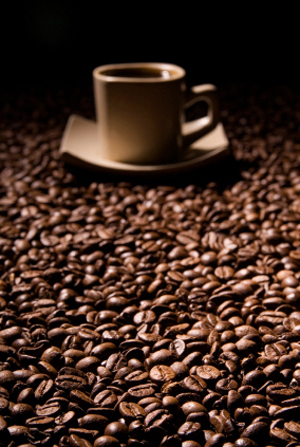 WHY WE LOVE IT: The coffee would be a standout even if it did nothing for the environment. But we love that it lowers our carbon footprint! WHERE TO BUY IT: Buy Online Here (See next page for details). Cooking video of the week: How To Make Irish Soda Bread. Master coffee terms in our Coffee Glossary. CAPSULE REPORT: This Top Pick is an exquisitely delicious coffee that also helps to slow down climate change. Even if you don’t like coffee, stick around to learn about how Tiny Footprint is doing its part to reduce your carbon footprint. This is important stuff that impacts everything you buy. On the next page, you’ll be forwarded to a site where you can calculate your own carbon footprint. We promise the results will be eye-opening. *When you pay it forward, you ask that a good deed be repaid to a third party instead of repaid to you. The third party is Planet Earth, but what’s good for planet earth is good for you. When you buy Tiny Footprint coffee, you pay it to the environment. For each pound of coffee purchased, the company more than offsets the carbon impact of harvesting, roasting and distributing its coffee by planting a small plot of saplings in the Mindo Cloudforest of Ecuador. Reforestation helps to protect dozens of threatened bird species and other forest animals by replacing habitats that have been cut down for cattle ranching, lumbering, tourism and general human expansion. †Plants require carbon dioxide for photosynthesis. They take in carbon dioxide and release oxygen. The result is better than carbon neutral: It’s carbon negative! The coffee itself is made from beans that are certified organic and shade grown on small family farms in some of the richest coffee soils in the world: Peru, Flores (Java Islands, Indonesia) and Sumatra. So in addition to enjoying a wonderfully aromatic, rich and delicious cup of coffee, you’ll be doing some good in the world. Your carbon footprint will go down. Give a bag to all of your coffee-loving friends. Learn more about your carbon footprint on the next page. Before you click away, look at the article index below. 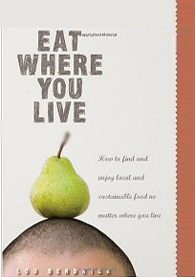 Eat Where You Live: How To Find And Enjoy Fantastic Local & Sustainable Food, by Lou Bendrick. A great guide to sustainable, delicious and healthy eating. Learn more. 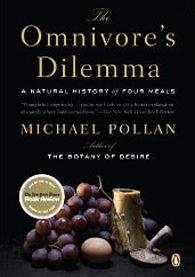 The Omnivore’s Dilemma, by Michael Pollan. If you haven’t yet read this seminal book, get it ASAP. It will change the way you think about food—and what you eat. Learn more. 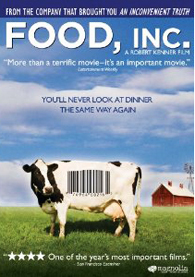 Food, Inc. A stellar documentary that deconstructs the corporate food industry. It’s a great teaching tool for adults and kids alike. Learn more about the DVD and companion book. Master the language of coffee. One of the world’s great soups, hearty enough for a main meal. Start now with these two recipes and see which one you prefer for St. Patrick’s Day.